The Supreme Court has turned down the bail plea of Unitech group’s promoters Sanjay Chandra and brother Ajay for not complying with the court’s direction that called for depositing Rs 750 crore with its registry. The case will be next heard in February. The two-member bench of Justices DY Chandrachud and Hemant Gupta said that the firm had not complied with its October 30, 2017, order which the duo to deposit Rs 750 crore with the apex court. 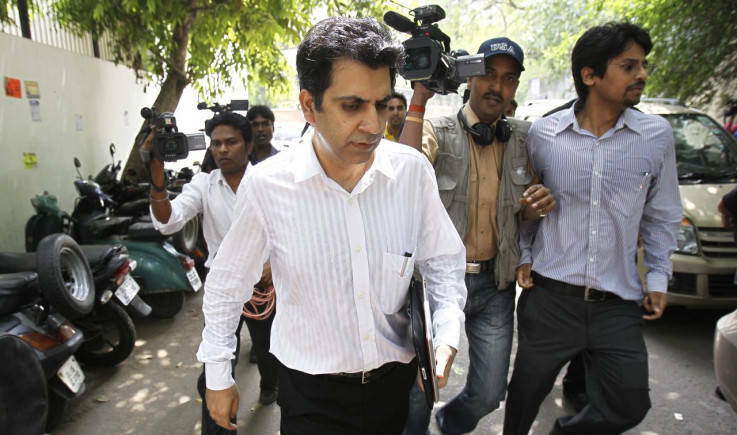 Earlier, the court had ordered that the Unitech Limited Managing Director Sanjay would be granted bail only after the real estate group deposited Rs 750 crore with the registry. It directed jail authorities to facilitate the brothers’ meeting with company officials and lawyers so that he can arrange capital to refund homebuyers as well as complete ongoing housing projects. Chandra brothers, who have been lodged in Tihar jail for over 18 months, sought bail on the grounds that they were complying with the apex court’s order and have already deposited over Rs 400 crore with the court’s registry. Further, the top court made it clear that they were only entitled to negotiate in respect of unencumbered properties or assets of the group. Moreover, the court was informed that the amount computed for refund to homebuyers may go above Rs 2,000 crore, even as there are some who wish possession of their flats. The amicus curaie in the case informed the court that around 9,390 home buyers, out of a total 16,000, have responded on the issue of either seeking refund from the builder or getting possession of flats. He said around 4,700 buyers wanted a refund. Last week, the apex court had ordered forensic audit of the company and its subsidiaries to probe alleged irregularities and diversion of homebuyers funds. The court had said that it was essential to ascertain how the funds collected from home buyers and financial institutions have been utilised by the embattled company and ascertain if money collected for construction was diverted. Grant Thornton has been asked to examine all documents and bank account details of the companies, promoters and directors from 2006, sources told Moneycontrol. Last week, advocate Pawanshree Agrawal — also amicus curiae — said that out of the 74 construction projects as many as 61 were incomplete. The report noted that the principal amount due to homebuyers if they were given a refund would amount to over Rs 7,800 crore.”The issue of non-payment of the company’s employee dues was also brought up in court (Wednesday) today. We are also planning to open the fixed deposit holders’ portal for a week from tomorrow as some claims were not registered earlier,” Agrawal told Moneycontrol.